HEIC, also called HEIF, is the short form of High Efficiency Image Format, which has been applied to Apple’s iOS 11, the operating system of iPhone X, iPhone 8/8Plus, iPhone 7/7 Plus and macOS High Sierra. It is a powerful image format that can compress files size more efficiently than present popular image format, JPG, with less space and original high quality. What interests you is that it can support multiple images in one file, for example, a sequence of Apple’s live photos as well as animation with plenty of images. However, HEIC images cannot be viewed on older iOS, Mac, Windows and any other devices. Obviously, it is necessary for you to convert HEIC files to other formats in order to open it on any non-iOS 11 operating system. Don’t worry about how to look for a best solution any more. UFUSoft HEIC Converter can provide you whatever you want. UFUSoft HEIC Converter is a HEIC file viewer of choice. It aims to convert the Apple’s new image HEIC format to the regular photo file formats such as JPG and PNG so that the items can be accessed on Windows PC or Mac. 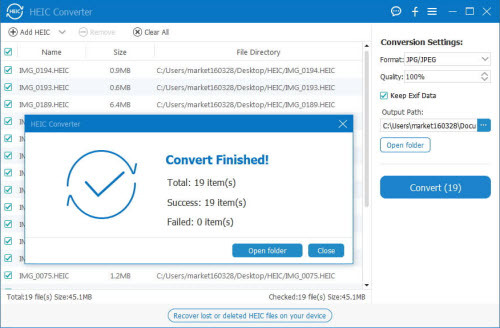 Now, you can follow the steps below to convert the HEIC photos on Windows or Mac. Step 1. 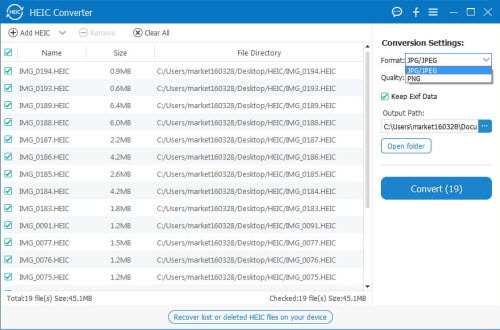 Download and install HEIC Converter on your Windows or Mac computer. If you want to convert HEIC images on iPhone, iPad or iPod, you need to connect your iOS device with computer. Step 2. 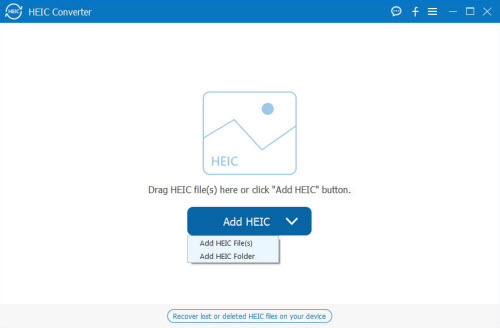 Click the Add HEIC button or directly drag HEIF/HEIC files to the program. For HEIC photos from iOS devices, go to “This PC\Device Name\Internal Storage\DCIM”. Step 3. Your HEIC photos will be loaded and displayed in the interface. Select HEIC files you want to convert to JPG format. Step 4. Choose JPG as the output format, check “Keep Exif Data” if you want, and set the output path. In addition, this program also support converting HEIC to PNG. Step 5. Finally click the Convert button to convert HEIC to JPG/JPEG or PNG. Step 6. When the conversion is completed, click the “Open folder” button to view your JPG or PNG images. How to Import DAV files to DaVinci Resolve for Editing? How to Edit 4K HEVC/H.265 Videos on Windows 10 or macOS Sierra?